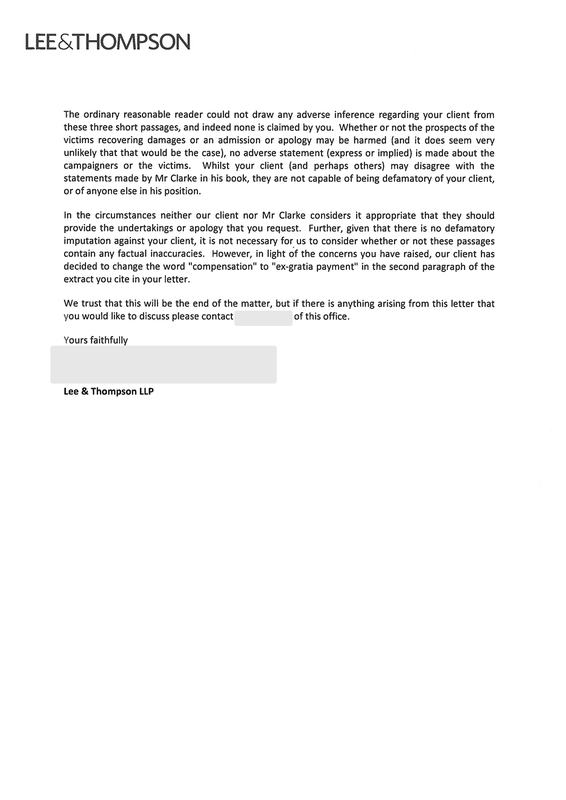 In 2017 Factor 8 took action against Ken Clarke for comments made in his autobiography "Kind of Blue" about Haemophiliacs and the Contaminated Blood Scandal. The matter concluded following Ken Clarke's agreement to withdraw one of those comments, and on 23rd July 2017 The Mirror broke the story. We are today presenting publicly the full response that was provided during this time as we believe the community have a strong interest in seeing that correspondence. 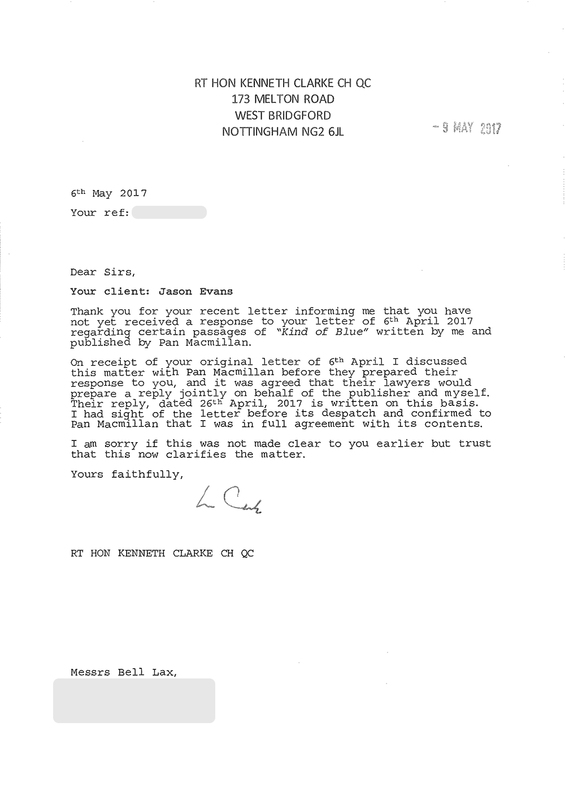 The above responses were received in light of the issues we had taken up with Ken Clarke and his book publishers. The issues were plenty, essentially the below excerpts from Mr Clarke's book, we alleged, are almost entirely inaccurate. Very quickly, before our scientists and doctors appreciated that blood supplies needed to be treated to be safe, more than 1,200 haemophiliacs in Britain contracted HIV. of their illness. When I became the only health minister from that time still prominent in the public eye, these campaigners usually named me in their campaigns, because it improved their prospects of publicity. Simon Glenarthur “behaved impeccably throughout the crisis”. dumping ground of products made from plasma”. - Despite being made aware by experts from the Association of Scientific, Technical and Managerial Staffs in 1983 and 1984 that the products imported posed a risk of AIDS, Simon Glenarthur continued to allow the importation of such products that infected people with HIV. Although it is not necessarily against the law to say things that aren't true publicly. In this case, it should be. Coming back to present day, Kenneth Clarke today gave comment to The Guardian for an article they have published on the Tainted Blood Scandal. The allegations made by the victims of the blood products tragedy are completely inaccurate. I was not the secretary of state for health at the relevant time. I was a junior minister, as minister for health, and blood products were not one of my responsibilities.